These cars are due on the public roads early in 2017. AS GOOGLE CONTINUES to advance its development of self-driving cars, it has rebranded the division responsible. 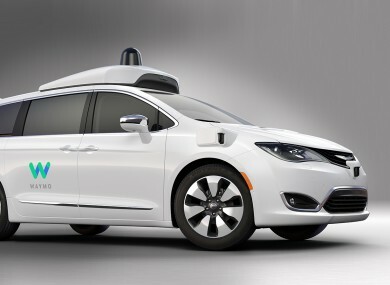 Now known as Waymo, the Google offshoot has just taken delivery of 100 new Chrysler Pacifica Hybrid MPVs, which have been specifically developed to accommodate the required on-board technology to enable self-driving. The Chrysler Pacifica was officially unveiled just under one year ago and has only recently gone on sale. Fiat Chrysler Automobiles (FCA), which owns Chrysler, has been working with Waymo engineers for some time to develop this latest test fleet, which will take to the public roads early in 2017. The cars carry an array of cameras, sensors and laser scanners to enable the onboard computer systems to ‘see’ the world around them in real time and react accordingly. The Pacifica Hybrid will be a great addition to our fully self-driving test fleet. FCA’s product development and manufacturing teams have been agile partners, enabling us to go from program kickoff to full vehicle assembly in just six months.They’ve been great partners, and we look forward to continued teamwork with them as we move into 2017. According to official data, approximately 1.2 million deaths occur every year on roads worldwide, with 94 per cent of those deemed to be caused by human error. Waymo is pushing forward with its development of self-driving cars in the hope that it will, in time, help to reduce this number. Recently Waymo completed its first fully self-driving trip on public roads, with a passenger who was medically blind. Not only did this give full control to the car it also highlighted how such vehicles could provide greater levels of freedom and mobility to those who are not capable of driving themselves. Email “Google has added 100 spanking new cars to its self-driving fleet”. Feedback on “Google has added 100 spanking new cars to its self-driving fleet”.